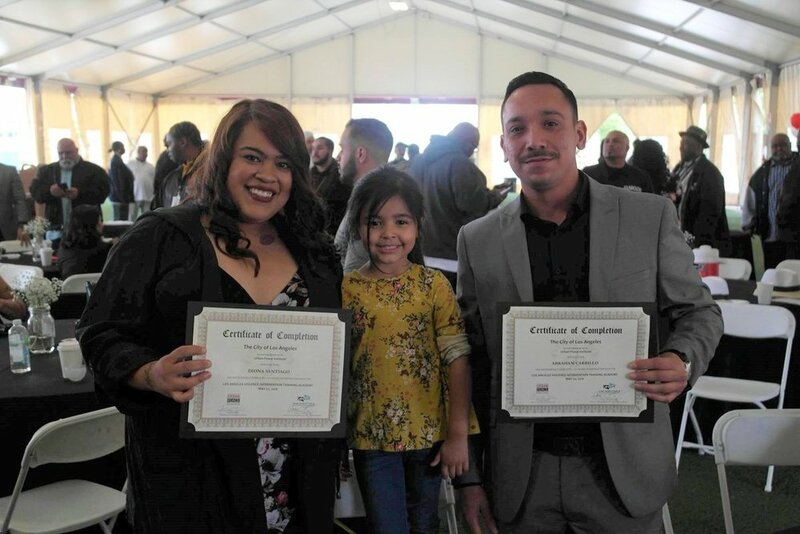 Recently, 25 brave peacemakers graduated from our Urban Peace Academy with the complex skills needed to reduce violence in Los Angeles’ most violent communities. Each participant completed 140-hours of intense coursework focusing on effective strategies for forming trust with both residents and officers to ensure neighborhood safety. Our sessions presented best practices for deescalating violence, initiating outreach to gang members and their families, and brokering peace between rival gangs. The Director of the Mayor’s Office of Gang Reduction & Youth Development, Anne Tremblay, voiced her support for the graduates as they work to create safer communities, “We believe in the work of intervention in the City of Los Angeles, and will continue to invest in you as peacemakers.” Check out the full gallery from our graduation ceremony.